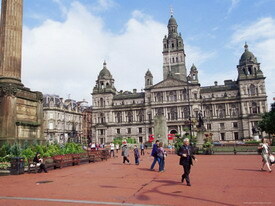 Glasgow is well known for its shopping scene, nightlife, and year-round music gigs and events. However, Glasgow is also home to an array of seasonal events and festivals, many of which are family friendly or designed for the city's younger visitors and inhabitants. Each summer, the city of Glasgow hosts a string of events for young children and families, ranging from art shows and theatre performances, to literature and music events. So why not head to Glasgow this summer with the entire family, and experience all the family-friendly fun the city has to offer? Take the whole family to the "All Paws on Deck" exhibit at the Tall Ship at Glasgow Harbour. Telling the story of cat shipmates, this exhibit focuses on the feline ability to adapt to new surroundings, control vermin, and offer companionship to countless mariners throughout history. Visitors will learn about the history of cats on ships, ship cats in literature and superstitions surrounding cats, as well as about famous feline shipmates, such as Simon - the cat that lived aboard HMS Amethyst. Colour the Clyde is another fantastic event, perfect for budding artists. This event will host illustrator Stuart White, who will oversee an afternoon of creative drawing inspired by the heritage of the River Clyde. Guests are invited to add their own colourful talents to iconic Clyde structures and to a large-scale mural. Another festival focusing on the region's waterways is the Glasgow River Festival held 25 and 26 July - celebrating the past, present and future of Glasgow's historic waterfront with two days of free family fun and entertainment. Do your kids enjoy the stage? One summer event that's not to be missed is the production of the BFG - the Big Friendly Giant - at the King's Theatre. This literary gem - written by Roald Dahl - has delighted children and adults through its pages for years. Another unique Glasgow summer event that's sure to delight families is the City of Glasgow International Highland Cattle Show in Pollok Park. Renowned as the largest Highland cattle show in the UK, this event draws countless guests to meet some of Scotland's cutest cows. The event also offers children's entertainment, rides, food markets and countryside activities. Whether coming from Europe or within the UK, a Glasgow flight from both Glasgow Airport and Glasgow Prestwick are within a short distance of the city centre, making it easy and affordable to enjoy the best of what Glasgow has to offer this summer. About the Author - Victoria Cochrane writes for a digital marketing agency. This article has been commissioned by a client of said agency. This article is not designed to promote, but should be considered professional content.